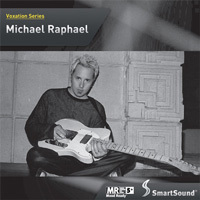 Pop Rock artist Michael Raphael is a multitalented musician, singer and songwriter featured in films, television, commercials and on records. This great Voxation album has the full slate of Sonicfire Pro features including Mood Mapping so you can mix these tracks to fit your scoring needs. Mute the vocals for the right ambiance, bring in the great guitar solos to crank the energy when you need to, then simply return to the full song with vocals to create exciting artist-driven themes for your project.